You are here: Home » A sutera by any other name? Bacopa? A sutera by any other name? Bacopa? When bacopas hit the headlines, and the garden centre benches, fifteen or so years ago I was seriously underwhelmed. This new plant, marketed for hanging baskets with its vigorous, spreading habit was as dull as dishwater to me. 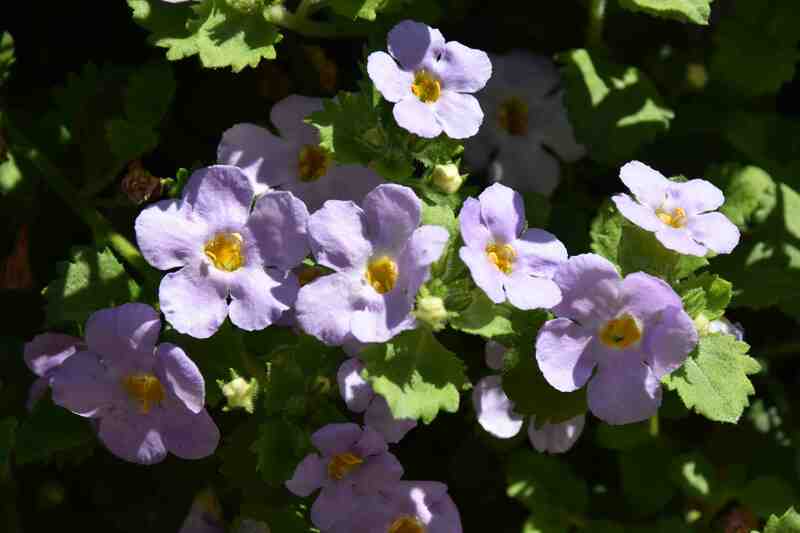 It had small leaves and even smaller white flowers and although it had the merit of vigour and being moderately resistant to light frosts, I couldn’t quite see the point. 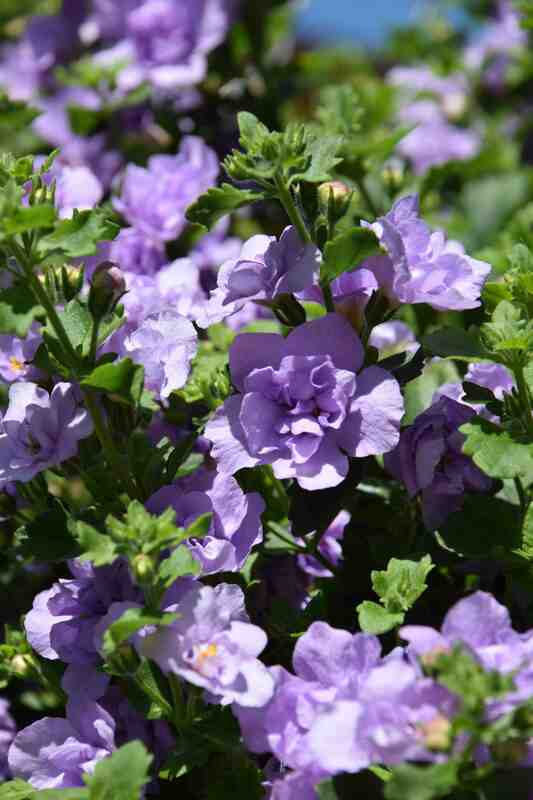 But plant breeders got busy and soon bacopas turned into basket and container plants with pink and lavender flowers as well as white and the size of the flowers doubled and then doubled again and then the petals doubled too. And as petunia breeders have expanded their range with smaller varieties will we see a day when the size of the flowers overlap? But before we get carried away with all the exciting varieties, a tale of taxonomic madness. 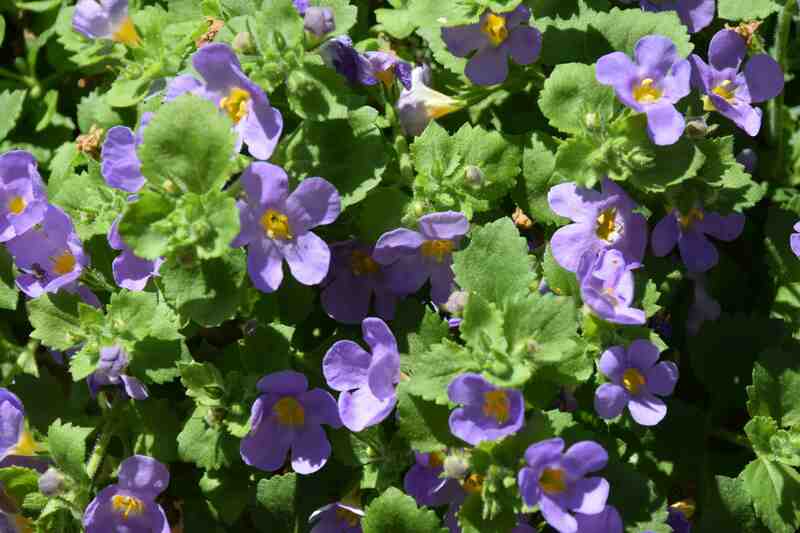 Although suppliers and nurseries unfailingly call these plants bacopas, they certainly are no such thing. Bacopas are plants from tropical and other warm parts of the world, especially the Americas that are largely water and marginal plants that may be noxious weeds in warm parts of the world or pond or aquarium plants in cooler ones. 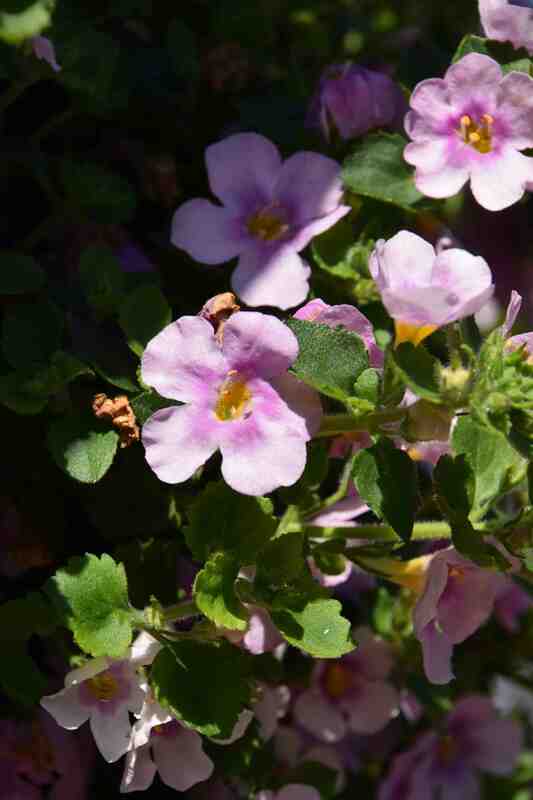 The flowers are superficially similar to the plant above, the gardeners ‘bacopa’. What we have above, and in our window boxes and pots is actually a Sutera (bear with me since even this is not right). More properly known as Sutera cordata, this plant from Africa was originally named Manulea cordata in 1800. But you know what botanists are like – it soon had a rechristening as Chaenostoma cordatum. But those meddling taxonomists were not finished yet and in 1891 it was changed to Sutera cordata. Phew. Well that’s OK then. But no, we are not finished yet. In 2005 it was changed back to Chaenostoma cordatum. I suppose that at least if we wrongly call it bacopa and don’t keep changing it it is at least more reasonable than trying to deal with a whole list of names. So the plant we are dealing with is Chaenostoma cordatum – at the moment. 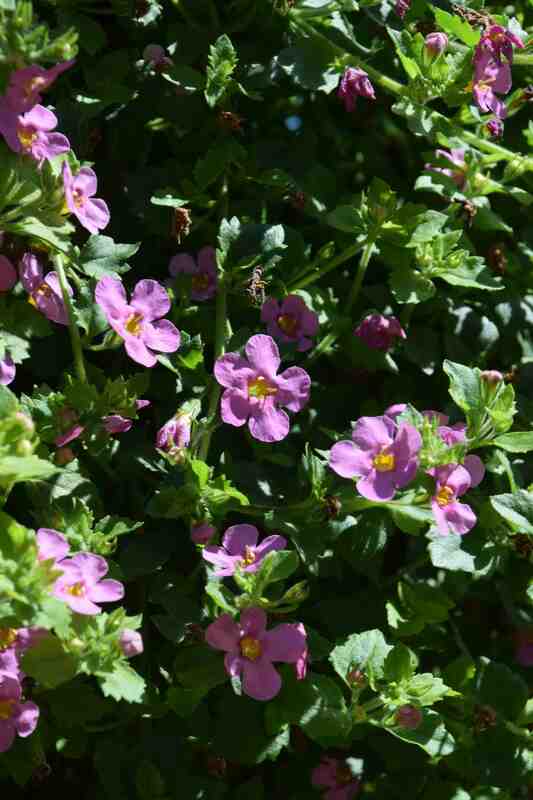 This would be a problem for the plant breeders since some of the series have names that derive from ‘bacopa’ such as ‘Scopia’. 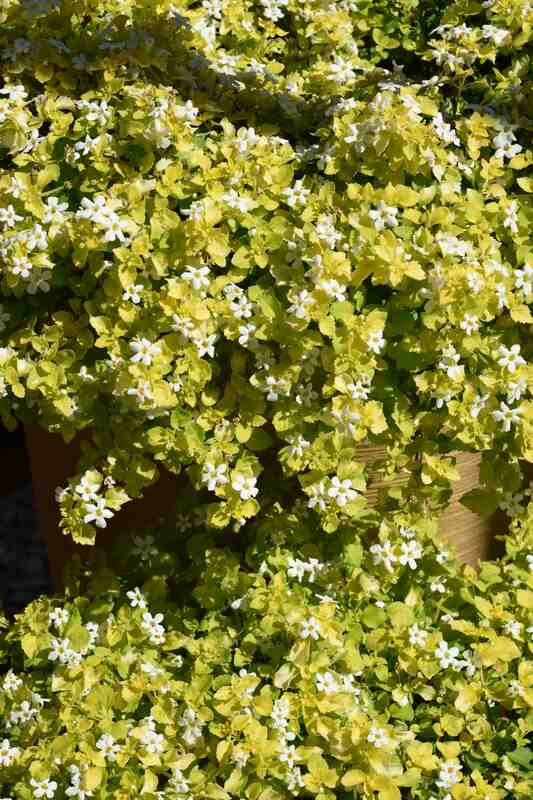 The best of the new varieties are grown from cuttings so bought as plug plants in spring though they can be kept over winter with the minimum of heat and are not tricky to keep or to take cutting of over winter. The ‘Snowtopia’ and ‘Bluetopia’ bacopas are raised from seed and are pretty good though they do not have the huge flower size of some of the following.